Clear controls are needed to describe how the project will be kept on track so that it stands a greater likelihood of meeting its stakeholders' expectations. The project controls section describes the following measures. This section describes the way in which various control mechanisms will be used to make sure that progress and forecast information is clearly communicated and that corrective action can be taken when necessary. Although the communications plan will have identified that some meetings and reports will be necessary, this section must describe how they will keep the project on track. It is usual for the section to include a table (see Table 8.14). actions should be taken if one arises. Escalation conditions for time, cost and benefits margin should be described (see example overleaf). If a breach of these escalation conditions is forecast, the project steering group must immediately alert the portfolio management team and present a notification report on which corrective decisions will be based. If a breach of these escalation conditions is forecast, the project manager must immediately alert the project steering group and present a notification report on which corrective decisions will be based. If a breach of these escalation conditions is forecast, the team leader must immediately alert the project manager and present an action plan on which corrective decisions will be based. E the effect of each option on the project plan/business case; E the preferred option. This section describes how changes will be dealt with if and when they arise (see example opposite). a Identified from the risk register. b Based on 3 person-days needed to assess the effect of any changes during the life of the project. c Based on an assessment of the changes applied to previous, similar projects. Should anyone consider a change to the baseline (described above) is needed, the matter will be subject to this change management process. Any item raised in this way will be referred to as a change request. Problems that have arisen will be treated in the same way. New and existing change requests will be reviewed at the weekly meeting between the project manager and the team leaders. E Change request identification. A change request may be identified by anyone inside or outside the project. E Change request analysis. The change request will be described fully by the person who has raised it. If further supporting information is needed, this may be provided by a developer, a customer and/or the project manager. E Change request impact assessment. The change request will be measured against the baseline to decide whether or not it represents a deviation. The contingency change management fund will pay for the necessary assessment. - its inclusion would take the project outside the escalation conditions. If the change request is considered worthy of inclusion and can be accommodated within the agreed escalation conditions and approved changes to contingency funds, the project manager can approve the change. If the change request is considered to be worthy of inclusion but causes the project to be forecast to be completed outside the agreed escalation conditions, the project steering group can approve the change, drawing on the approved changes contingency fund. If the change request is considered to be worthy of inclusion and falls outside the project steering group's escalation conditions, it must be referred to the portfolio management team. 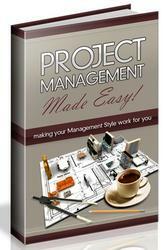 This change management process will be facilitated by the project manager. All other responsibilities are identified above. e Which products are to be subject to control? e Where will the products be held? e How will back-ups be taken? e How will security be ensured? e How will the products be distributed and redistributed? e How will versions be controlled? e Which version will constitute the baseline? e How will checks be made to make sure that all products are where they should be? e Product quality tests. This section will describe any special tests to be conducted on particular products. For instance, the solution design document may need a formal review by the solution design committee to make sure it conforms to the organisation's strategic objectives. The form of special tests should also be described more fully. For example, the formal quality review process may be outlined so that senior managers know its depth and value before committing the money necessary to fund it. e Project quality tests. This section describes tests that will be conducted at stages on large projects or ones that involve many products. For instance, a new computer system may undergo system testing, operational acceptance testing and user acceptance testing. The approach to such tests should be described and the project steering group given the opportunity to decide whether they are prepared to allow the time and money needed to accommodate these quality controls. e the process by which contingency funds may be drawn. An example is as follows. Risks will be identified first during the creation of the project outline. An initial risk identification meeting will be held during the initiation stage. The results will be included in both the emerging business case and project governance report as a risk register. Issues may be identified at any time and by anyone. They will be documented and processed in the same way as a change request. Risks will be ranked according to their risk factor (see page 85). 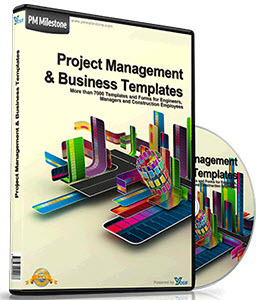 Those with a factor of 110 will be assigned automatically to the portfolio management team; those with a factor between 57 and 90 will be assigned to the project steering group; those with a factor between 21 and 56 will be assigned to the project manager; and those with a factor of 20 or below will be assigned to the project team. Mitigations will be identified for every risk. Mitigations will be assessed for their potential cost in terms of money and/or time. The summary of all mitigation costs will be included in the contingency budget (see change control, page 163). E identify new risks/issues; E reassess existing risks/issues. The contingency budget may be drawn upon to mitigate risks, provided those risks have had a contingency sum set aside for mitigation.